Understand horse behaviour and learn to speak their language. 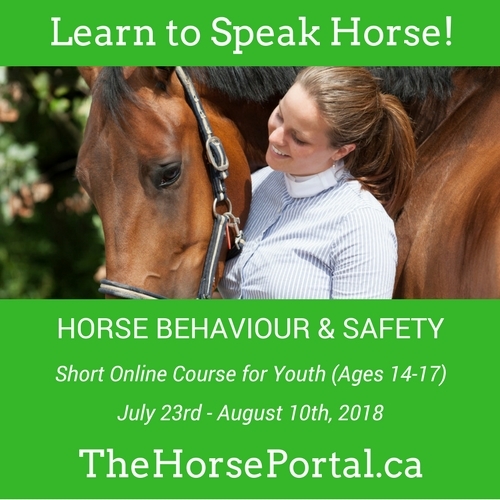 Horse Behaviour and Safety Youth course offered July 23 - Aug 10. At under $50 it is less than the cost of a riding lesson and provides valuable safety information for those between 14 - 17 years of age.